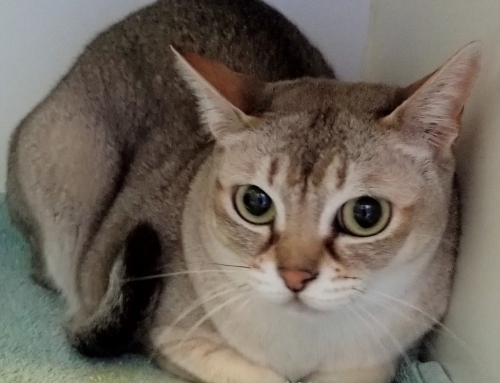 Tommy is an absolutely stunning BLUE POINT BALINESE. He is about a year old, neutered, and has all his claws. 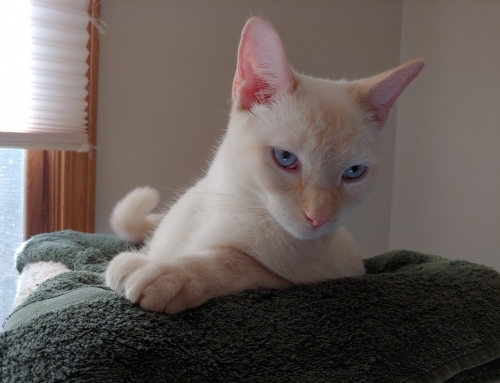 Tommy has the softest coat, and the brightest blue eyes. Tommy came from a home where there were a lot of other cats. Being in foster, he was so excited to get lots of attention. If you are looking for a cat that absolutely loves people, this is your boy. Tommy loves everyone, he loves belly rubs, and overall just wants to be near you. He can take a minute to warm up in new situations but then you have a new best friend! Tommy is typical for his breed in that he is a very smart boy. He loves to play but is not demanding. He loves “da bird” toy and will chase that all over. His favorite activity is when he gets his dry food placed in an interactive feeder that he has to work to get out. 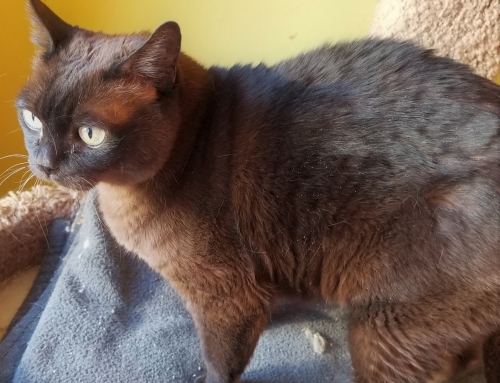 Tommy also likes to talk to his people, so his new home must be understanding of the breed and be okay with a kitty that likes to chat with you. Tommy gets along wonderfully with other cats. He loves to cuddle with them and is such a gentle boy. 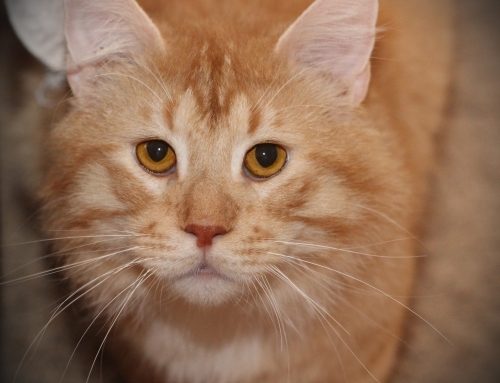 While Tommy is very bonded with people, he absolutely loves other cats as well. Due to this, we feel Tommy would be happiest in a home with another cat or two that would be friends with him as he loves to cuddle with his kitty friends. Therefore, we are requiring that Tommy’s new home have at least another cat that will accept him. He would likely get along fine with a calm dog that won’t chase him. Older gentle kids would also be fine for this sweet boy. This boy has great litter box manners with no issues. He is also great about using his scratching posts. He loves to sleep on a ledge in front of the window and he loves his big cat tower as he loves to sleep on the highest perch. We hope this boy can find his forever home soon as he has so much love to give. He can’t wait to find a human to sleep with in their bed each night, and a lap to cuddle in. He is an absolute sweetheart and everyone that meets him falls in love. ADOPTION FEE $400. Fostered in Madison, WI.